Most items will have are priced plus shipping. Please add to cart and then put in your zip code to calculate the Freight. Some items may have minimum quantity you need to buy. Larger items that have dimenstions of 24" IE. ( larger zinc, lead sheet) may have a oversize handling fee. Heavy items that need ship on a Motor truck may have addition overweight fees. General delivery time if you select free/ Ground shipping is 2-8 Business days with no Guarantee. 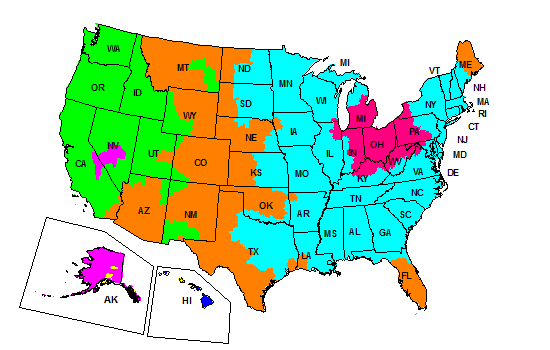 Delivery/transit times can range from 2-10 days as we reserve the right to select any carrier method we desire (Fed-Ex, USPS Mail, LTL Freight). You must have a street address and not just a PO Box as UPS does not deliver to a PO Box. If your order weighs more than 300 pounds, you must have a business address with loading dock or forklift to receive a pallet. If you require a Lift-gate or only have residential address, there will be extra charges. Most freight carriers offer terminal pick up as an alternative to delivery, please call us for additional details. Also see the Freight Shipping Disclosure below. If you want your sheet metal shipped flat rather than rolled, there will be an additional crating charge of $50-$120 depending on size of the crate. If you want to return an item, our shipping costs will be deducted from your refund. We do offer a 30-day no questions asked return/exchange policy. All refunds/exchanges thereafter may be subject to restocking fees. Please feel free to call or email if you have any questions before you order or if you have a unique delivery requirement. It is easier and cheaper to figure these details out prior to the shipping of your order. Do you need your metal faster? That's fine. Please select a defined shipping service speed during checkout, i.e. ground, 3-days, 2nd day air, next day air and we will bump your order to the front of the line and do our best to get it out within 24 hours. You do have a choice of either having the shipment delivered to a local business that does have a dock and normal manned shipping hours or picking up your shipment at the local delivery hub for your area. There is no additional charge if picked up at the terminal if it is picked up within 24 hrs of being received in at the terminal. Please be aware that orders shipping to international addresses or outside the Continental US (including HI, AK, Puerto Rico) may not properly calculate in the checkout process, and additional shipping may be due. A customer service representative will contact you before any additional charges are applied to your payment method. If you need the cost of shipping before purchase, please contact us for a quote.